On July 30 a school in the Jabaliya refugee camp in Gaza run by the United Nations Relief and Works Agency (UNRWA) came under attack. At least 15 people died and scores more were wounded, including women and children who were sheltering there. It was the second UN school hit in a week. But these were not the first schools in Gaza to come under attack, nor the first in which children were among the casualties. Attacks on schools not only threaten the lives of children and adults taking shelter there, but have a devastating impact on children that lasts way beyond the conflict. The Israeli military said “militants fired mortars at IDF soldiers from the vicinity of the UNRWA school in Jabalya,” and that Israeli “soldiers responded by firing toward the origins of the fire.” UNRWA said the school building, where 3,300 displaced people had taken shelter after the Israeli military warned them to leave their homes, had been hit three times. On July 27 the Israeli military said that its forces had fired mortars at Palestinian fighters in the area of a UN elementary school in Beit Hanoun, in northeastern Gaza, on July 24, and that “one of the mortars fell in the school’s courtyard whilst it was empty of people.” Reports indicate that the attack killed at least 15 people and wounded scores more. During the 2008-09 fighting in Gaza, Israeli forces have repeatedly struck UN schools without justification under the laws of war. This has included attacks with highly incendiary white phosphorus munitions and guided missiles. Israel paid $10.5 million to the UN for damage caused to its facilities in Gaza, including schools, in the 2008-09 fighting. Palestinian armed groups in Gaza have also compromised the civilian nature of schools. 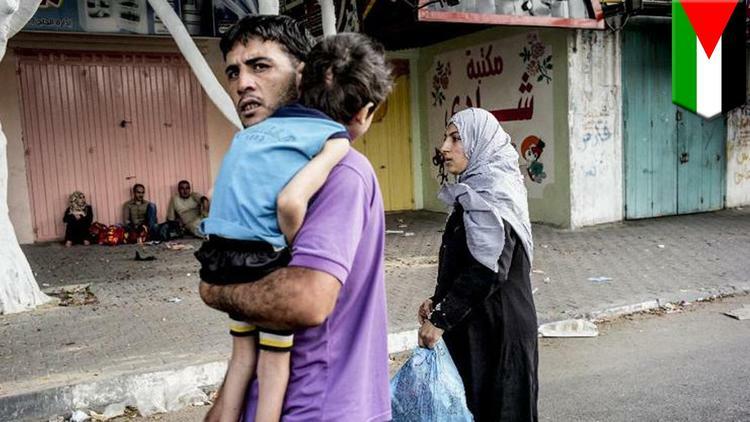 On July 16, UNRWA staff found 20 rockets stored in an empty building at one of its schools. The UN agency condemned the military use of its facilities by an unidentified Palestinian armed group. On July 22, the agency reported that it had again found rockets hidden a school – which was empty, but close to another school that was sheltering Palestinians displaced by fighting. On July 29, the agency said a regular inspection had found rockets in a third school in central Gaza, which was empty and not being used as a shelter. Israel has not alleged that the two schools it hit contained any weapons. Schools are civilian in nature and must not be attacked unless they are being used for military purposes. Deliberate attacks on schools that are not legitimate military objectives are war crimes. Both sides in the current conflict would do well to take note of the Lucens Guidelines, created to protect students and teachers around the world from the use of schools for military purposes, and to incorporate explicit protection for schools into their military doctrines and strategies. The Lucens Guidelines, whose development involved consultation with military and humanitarian law experts from across the globe, are based on existing obligations under the laws of war, international human rights law, and examples of good practice. Repairing the physical and psychological damage to children harmed in the attacks on Gaza’s schools as well as others whose schools have come under attack will require concerted and sustained efforts. Those who aspire to achieve lasting peace and security should realize that it will be all the more elusive without safe schools and good quality educational opportunities for all the region’s children.